Remote water and legionella temperature monitoring offers the latest technology in temperature monitoring and record keeping. This method of temperature monitoring reduces costs, allows access to records from anywhere, improves communication amongst many other benefits. Remote water and legionella temperature monitoring is where temperature readers or probes as they are known in the industry are installed on the hot and cold pipe work and collect water temperature data. This data is sent to a hub that is also installed onsite. The job of the hub is to collect the data from all of the probes on site and send it to the server. This is where all of your temperature readings and records are kept and display on your website for your viewing and storage. Therefore, removing the need for physical temperature checks and records. Why should I choose remote temperature monitoring over manual monitoring? By opting for remote water and legionella temperature monitoring you are choosing to use the industry’s latest technology in automated temperature monitoring, removing the need for manual temperature monitoring. This means reduced man hours spent driving between sites, reduce costs on travel and labour, improved management system with all records online in one place, and easy assess to records. The list really is endless. Who should use remote temperature monitoring? Everyone can use remote legionella and water temperature monitoring. It has been designed with all water systems and all types of buildings in mind. The software is particularly useful for people who manage multiple sites as the software removes the need to visit site to undertake monthly temperature monitoring. How much does remote water and legionella temperature monitoring cost? The cost of your remote water temperature monitoring package will vary depending on the number of water assets you have. A water asset might be a cold water storage tank, hot water heater, sinks or any other water asset that might require temperature monitoring. For a site specific quote please contact our team today. No time at all. Once one of our engineers has been to site and installed the probes and data hub, we’ll carry out standard checks to ensure all is working correctly. At the same time our office staff will be preparing your website account and login details. Once the account is setup and the probes and hub are installed and working you’re all set. Typically these tasks can be finalised within 24 hours. How secure is your website/server? At uRisk we take data protection and security seriously. This is why the website and server used for remote water and legionella temperature monitoring uses an SSL, is highly encrypted and secure. What can uRisk’s remote water and legionella temperature monitoring do? As well as recording and storing your water and legionella temperatures you can also store all logbook details online too. Therefore, it becomes your new logbook online. You can store assessments, reports, records, certificates and much more. All standard document types such as word, excess, pdf can all be stored online. Do uRisk service my area? Yes, uRisk’s services are nationwide. Whether you have one or multiple water systems and one or multiple sites, uRisk provide services to the nationwide, with engineers scattered throughout the UK, with offices based in Hertfordshire, a 30 minute train journey to London King’s Cross. Head Office: uRisk, Units 11-12 Baldock Industrial Estate, London Road, Baldock, Hertfordshire, SG7 6NG. 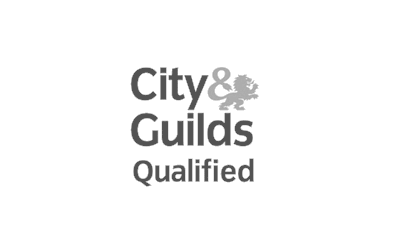 Yes, all of our Legionella Risk Assessors at uRisk are Legionella Risk Assessment qualified and accredited by City & Guilds and can help assist you in meeting compliance today for HSE (ACoP L8). 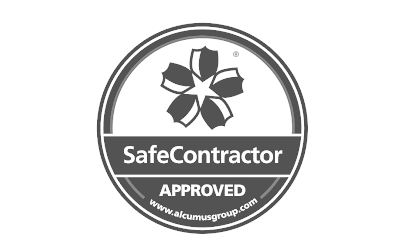 uRisk is Safe Contractor and Construction Online approved so you can rest assured that you are working with a trusted water hygiene service provider who put health and safety first. 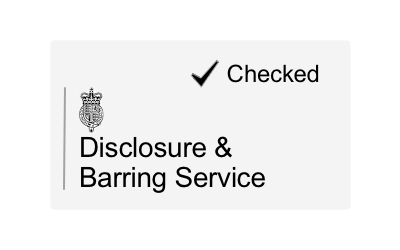 All uRisk engineers are DBS Checked to ensure suitable people are entering your premises and to safeguard vulnerable people. To get a quote you can phone, email or complete our ‘Get a Quote!’ form to receive a quotation within 24 hours. Once you’re happy with your quote we’ll confirm a suitable date and estimated time of arrival for your appointment. An engineer will be with you on your scheduled date, and will call you prior to arrival (when safe and possible). Our team will quality assess your report for PDF distribution, typically within 2-10 days of the site visit. All payments are due prior to booking completion unless agreed in writing for 30 days from the date of invoice. We will hold your booking time for 24 hours whilst we wait for payment. Over 25 years of water hygiene and legionella control experience. Friendly and simple advice by phone, email & online at your convenience. All staff are trained water hygiene consultants and engineers. With engineers located all across the UK, we’re never too far away. Our labs are UKAS approved providing you with quality assurance. Your one stop shop for legionella control, no need to go elsewhere. All water systems require an risk assessment. Reduce your legionella risks all in one place. Legionella and water quality testing. Water tank cleaning for all shapes and sizes. Flexible E-learning courses, duration 2-3hrs. New mains, tank or full system chlorinations. Let the specialists control & management your risk. Brilliant Service, efficient, professional, punctual and friendly. uRisk have been helping us with our Legionella Control for a number of years now. We've recently had a CQC audit and they were very impressed with our legionella compliance! Thank you for all your help. Fantastic training courses and we've found the legionella risk assessment very easy to read and far more detailed than any we have previously had. 5 star service! Incredibly detailed and professional team. Have been beyond helpful with with our CQC legionella compliance for our Safety. They’ve found solutions to fit around how we work and our budgets. We are always advised with reference to HSE which has been brilliant. We're a small GP practice and started using uRisk for legionella risk assessments. 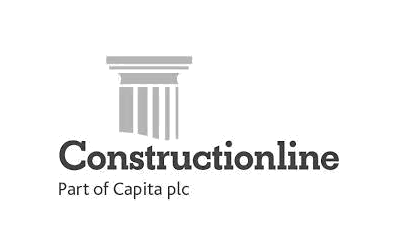 We opted to use their remedial and monitoring services and they've been absolutely great. We cannot recommend them enough! Thank you so much! uRisk is a Hertfordshire based Water Hygiene Specialist with nationwide coverage. As water hygiene specialists we offer a full range of services for legionella compliance. Head Office: uRisk Limited, Unit 11 & 12, Baldock Industrial Estate, London Road, Baldock, Hertfordshire, SG7 6NG. VAT registration number: 210 5774 34.